Visual programming environments, such as MIT's Scratch, are often regarded as a good way to learn programming for young children, to be discarded once the child reaches his/her teens. In this post, I intend to say a few words on why I believe that these environments are more than child's play! 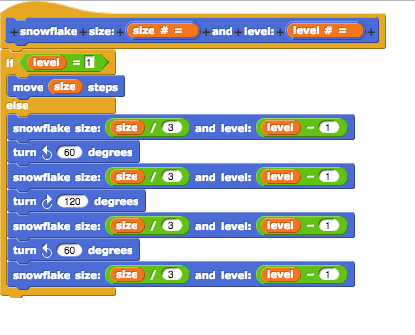 The strength of block-based visual programming is that, by making the mechanics simpler, it enables the second type of learning. Rather than worrying about spelling commands correctly, observing indentation rules or remembering to type a semicolon at the end of a line, the learner concentrates on the goal of their project.